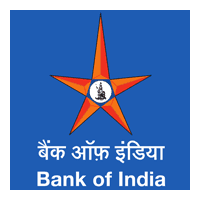 Bank of India Recruitment Notification 2018. Bank of India inviting applications for the positions of FLC Counsellor.Interested and Eligible candidates can apply for the positions. 1. Eligibility for Counselor of FLC: The applicant retired as Bank official on attaining superannuation from Banks service as an officer in MM-Il and above will be eligible for in-charge/Counselor for FLC on contractual basis. His integrity should not have been doubtful during his service in the Bank. Counselors are expected to counsel the public in all issues related with financial institutions. Proficiency in local language (reading, writing, speaking and understanding) is essential. The official should have right aptitude/flair for training and rural development activities & needs special skill. 2. Qualification: Graduate/post graduate degree from a UGC recognized university. The remuneration will be fixed i.e. Rs. 18,000/- per month. 1. Counselor for Financial Literacy and Credit Counseling (herein after called as Counselor) will be required to work on all Bank working days i.e. 6 days a week (except second & fourth Saturday) for 6 hours per day i.e. 11.00 AM to 5.00 PM, Counselor will be expected to devote sufficient time to his duties to enable him to be carry out the assignment efficiently for which he may he required to attend the office OR to be available to perform functions outside these hours and days. 2. The monthly consolidated remuneration has been enhanced from Rs.12,000/- to Rs. 18,000/- per month. This additional amount of Rs 6,000/- will be paid to the counselor subject to conduct of minimum 8 outdoor camps per month. 3. An additional sum of Rs.500/- to be paid to the counselor towards telephone expenses on declaration basis. As the counselor is expected to conduct outdoor camps as well, a lump sum expenses of Rs. 1500/- be reimbursed, in lieu of not providing conveyance, provided they are holding minimum 8 (eight) such outdoor camps per month. 4. As per extant provision from NABARD, under Financial Inclusion Fund, FLCS are eligible for full reimbursement of expenses incurred towards organizing outdoor/ field level camps. As such it will be joint responsibility of FLC counselor and Lead District Manager to receive full reimbursement of expenses incurred in this regard. 5. The contract will be for initial period of one year and renewable at the sole discretion of the Bank for further period on such terms and conditions as may be stipulated by the bank subject to maximum age of 65 years and good performance and physical fitness of the Counselor. 6. Counselor may avail a maximum of 12 days leave per calendar year. The leave will be on pro rata basis i.e. 1 day leave for every completed month. The Counselor shall not absent himself from duties for a continuous period of more than 3 days. If the Counselor absents him selves from work exceeding the above period, Bank shall within its right to deduct proportionate amount from the monthly remuneration payable. The selection is based on performance in the interview. Decision of the Bank in this regard will be final. Last date for submission of application is 28-03-2018. The date of interview will be decided with due consultation with higher authorities and committee EaISA for the same.